This is La Mesa Dam in Quezon City. I never thought La Mesa Dam could this be beautiful from above. And like some of my beautiful pictures I shared in this blog, this too was taken by my favorite photographer Ver Noveno. 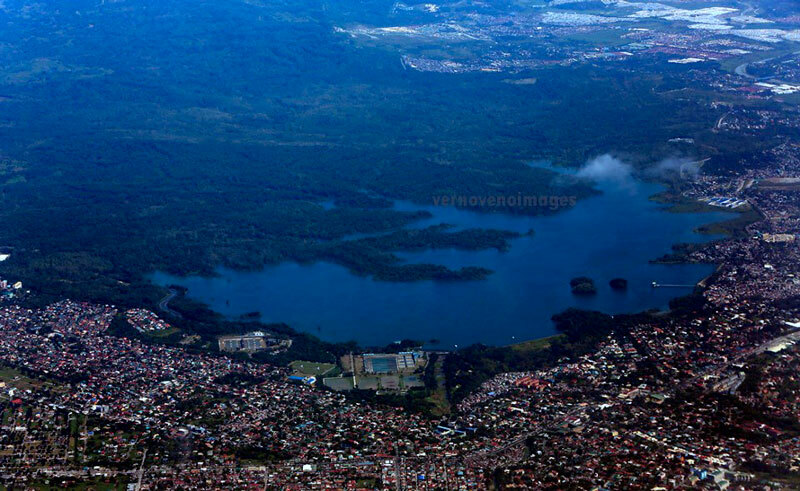 He shared this photograph not just to show the beauty of La Mesa Dam but to express his concern over the mushrooming industrial and residential houses in the surrounding area of the dam. Inside the complex of La Mesa Dam is an eco-friendly playground called La Mesa Ecopark. This is perfect for family picnic and other recreational activities for everyone. There are so many activities you can do while inside the Ecopark. You can enjoy the amenities for a minimal fee or simply enjoy the nature while strumming your guitar. Have you paid La Mesa Ecopark a visit lately? This entry was posted in Parks and tagged La Mesa Dam, La Mesa Eco Park on April 13, 2013 by Yami.